Porsche made their new Porsche 911 GT3 official yesterday, the car comes with an optional manual gearbox, which will keep Porsche fans happy. Now Porsche has released a couple of videos of the new 911 GT3 and we get to hear the amazing 4.0 litre naturally aspirated engine in action and also see the new GT3 on the track. 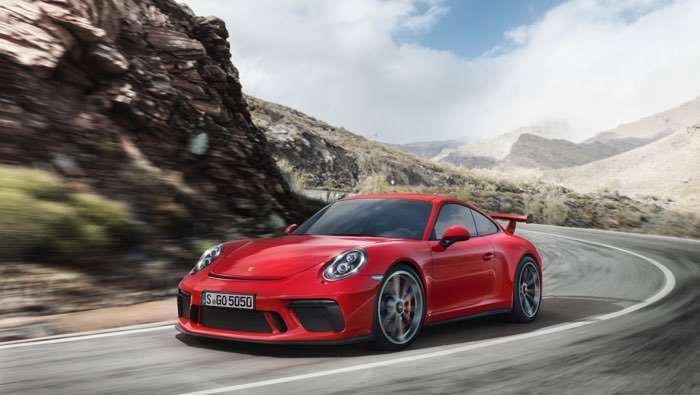 The new Porsche 911 GT3 comes with a top speed of 193 miles per hour and a 0 to 60 time of 3.9 seconds, the car comes with Porsche’s PDK automatic box as standard.